Anna Knoll, originally from Germany, leads ECDPM’s portfolio on migration as Head of the Migration Programme. Anna’s interests and expertise lie in the field of migration in international cooperation between Africa and Europe. With an academic background in Philosophy and Economics (BA, University of Bayreuth) and in International Political Economy (MSc, London School of Economics) her current research focuses on the interaction between migration, displacement and development processes, the external and development dimension of the EU’s migration and asylum policies, migration in European development policies as well as African narratives, policies and processes on migration. Anna has carried out policy relevant research for ECDPM including field research in a number of African countries. She has experience in research design and implementation. Next to her role at ECDPM, she is currently pursuing a part-time PhD at the Maastricht School of Governance. Prior to joining ECDPM, Anna has worked as German Fellow at the UN World Food Programme and as Stagiaire at the European Commission. 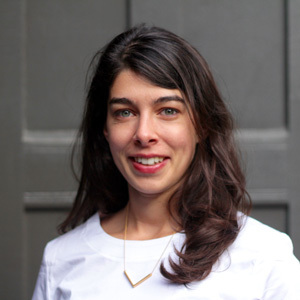 Anna coordinates and leads ECDPM’s work on Migration and has responsibility for developing analytical content relating to above areas, supervision, strategic leadership, fundraising and external representation on the topic of migration. As part of the Programme Management level she shares collective responsibility for strategy, quality and fundraising. Egypt under the spotlight: Can it be a safe third country? EU Trust Funds - Shaping more comprehensive external action? Labour Migration: From Absentee to a Key Driver in a Global Development Framework?